Hello PISO FARE friends! Have you book your summer trips? If you have not, the latest Cebu Pacific promo tickets 2017 might be what you are looking for! The new Cebu Pacific seat sale are valid for one-way travel for the months of April, May, June, July 2017. Cheap flights are available for trips to select local and international routes. Want to travel to Calbayog, Ormoc or Roxas from Cebu? One-way flight costs ony P799. Fly from Manila to Naga or Tablas for as low as P1,099. Trips to popular beach destinations of Boracay, Coron, Puerto Princesa cost as low as P1,799 per way. Included in the international seat sale are Asian destinations of Hanoi, Ho Chi Minh, Kuala Lumpur for as low as P2,599. Low fares can be booked for trips to Bali, Beijing, Seoul, Fukuoka and more places. Sale tickets are limited and may not be available on all flights. Booking for the Cebu Pacific promo is until March 28 or until seats are available. 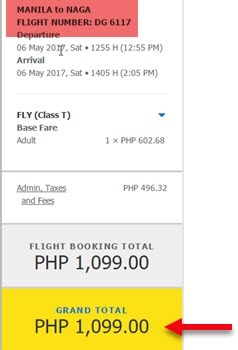 The Cebu Pacific promo fare include the base fare, Web Admin Fee, VAT, and 7 kilos hand carry baggage. Domestic terminal fee for flights exiting Manila, Caticlan and Cebu is incorporated in the fare. For international trips, Philippine travel tax of P1,620 must be paid at TIEZA counter in airport prior to departure. To make your flight more comfortable, you may avail of Add-ons like checked baggage allowance, order meals or select your preferred seat. 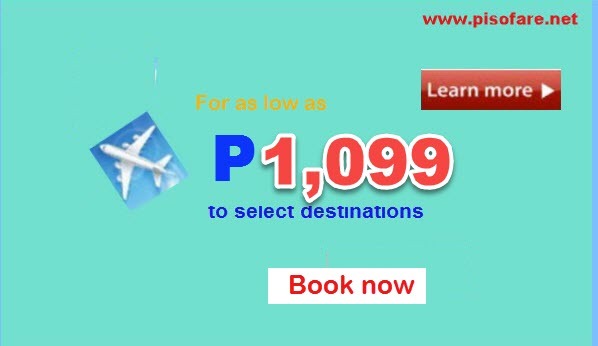 Promo fares can be availed by booking online at Cebu Pacific website: www.cebupacificair.com, or buy the tickets at the airline ticketing offices and accredited booking outlets and travel agencies. Another way of getting the low fares is by calling the hotline at telephone #: (02) 702 0888 (Manila) or (032) 230 8888 (Cebu). Are you in the Visayas? Click this LINK. Want to be updated on airline promo fares? Like and Follow our Facebook: PISO FARE TICKET for more promo fares 2017 to 2018, PISO FARE, travel tips and updates!! !